The world is getting smaller they say. 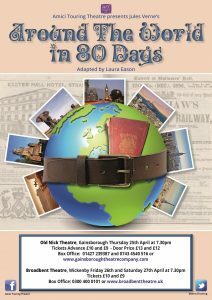 If you think this is a new idea, you should catch up with Amici Touring Theatre’s latest production, “ Around the World in 80 Days”, adapted from the Jules Verne novel. 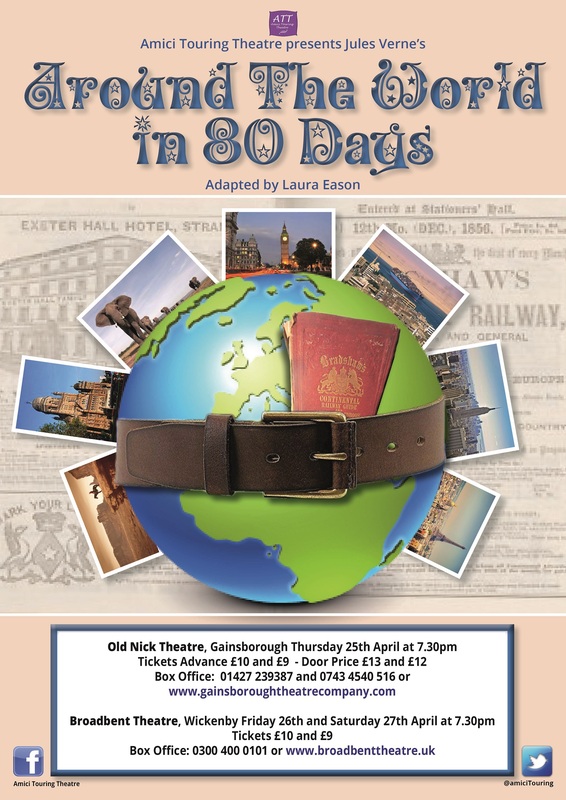 Phileas Fogg wagers his friends at the Reform club half his fortune that he can circumnavigate the world in 80 days. Trains, boats, sledges and even the odd elephant (but alas no balloon) are used to attempt this outrageous trip. Accompanied by his French valet, Passepartout, the frantically fastidious Fogg lurches from one comical disaster to another, in his attempt to win his bet. The main cast is admirably supported by a team of actors that take on a multitude of roles, as Fogg makes his way round the globe. Tender poignancy and comic touches of sheer brilliance abound in this hugely acclaimed comic ode to death and friendship from the highly innovative Tangram Theatre. Full of ‘magnificently clever’ (The Guardian) comedy-theatre and threaded through with exquisite live music, this outlandish story of how one man gave his terminally ill best friend the full Viking funeral he’d always dreamed of, is remarkable. Deeply personal, deeply felt and delightfully comic. PURPLE DREAMS PRODUCTIONS present THE LAST CRUMB. PLUS – A FREE sweet treat for everyone in the audience during the interval! 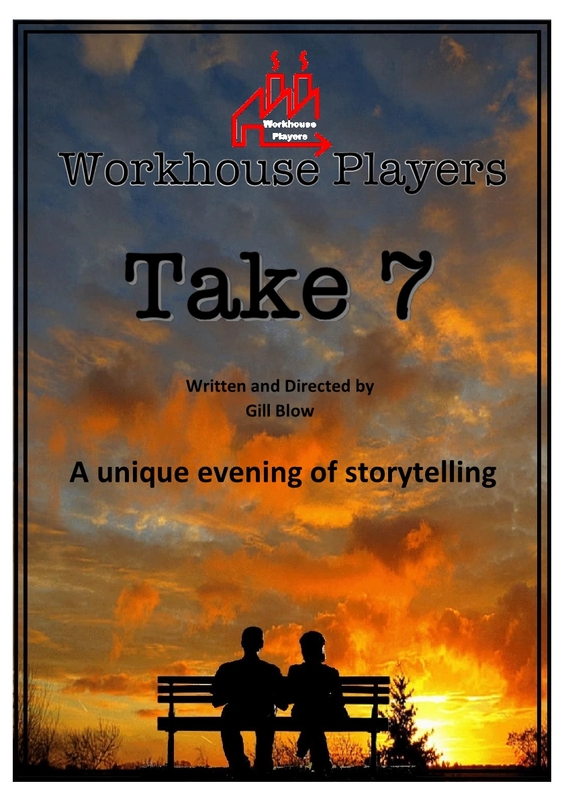 “TAKE SEVEN” is a production which celebrates the art of storytelling. If you are a fan of people-watching you will enjoy peeking into the lives of the characters which appear on stage and reveal to you their secrets, their hopes and fears. They will share with you the silly things that have happened to them, and their sadness too, they will weave their stories around you and create theatre magic. Written and directed by Gill Blow the stories include the award-winning ‘On the Bench’ – a poignant encounter between two people in a garden, and ‘Still Alive with Clive’ which tells the story of an Elvis impersonator who gets himself into hot water with his drainpipes. There is an ‘other-worldly’ tale of the strange ‘Mr. 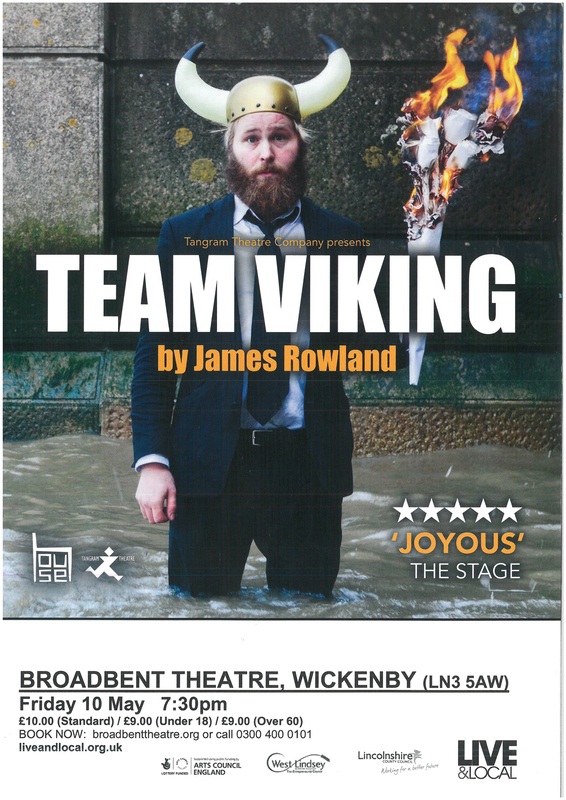 Sinclair’, and ‘Unravelled,’ Audrey’s story of dread and knitting all wound up together….the exceptional and experienced actors who have delighted audiences in recent years are looking forward to telling their stories at the Broadbent. Error: Error validating access token: Session has expired on Wednesday, 05-Sep-18 05:02:54 PDT. The current time is Monday, 22-Apr-19 20:11:01 PDT.